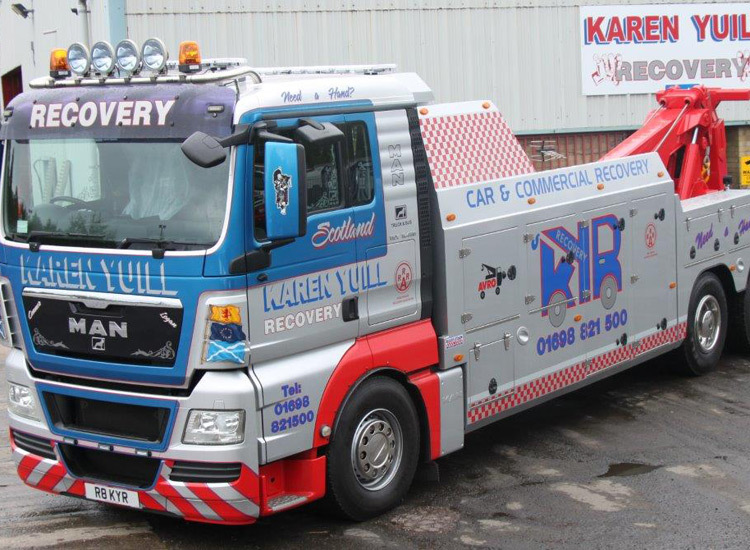 We specialise in light and heavy vehicle recoveries throughout Scotland operating 24 hours a day 7 days a week with our vast array of recovery vehicles. We can also handle recoveries throughout the UK and Europe in conjunction with our partnerships with other recovery companies UK wide. This takes the headaches away from the customer, meaning one phone call is all that needs to be made. We have expanded the fleet and own multi deck transporters to allow multiple uplifts of 5-9 cars, should the need require. 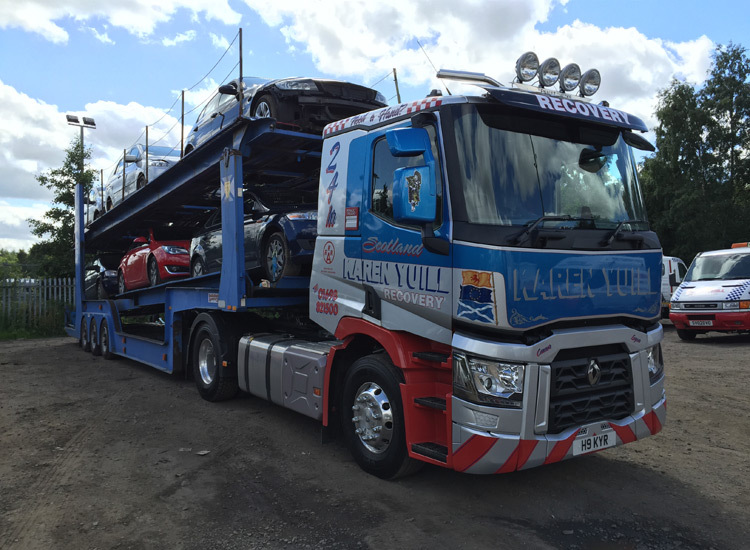 Managing Director William Kerr is known as an expert in heavy vehicle and HI-AB recovery and ensures all staff meet his exceptionally high standards of work. These high standards have won us contracts and awards with many main truck, bus and car dealerships as well as breakdown clubs, salvage operators and independent body shops.